TextPlay is a quick solution to manipulating text strings. The following is a list of simple steps. Set an original string at the top text field. Click on the drop-down menu to the right and select a text play command. When applicable, configure settings below. 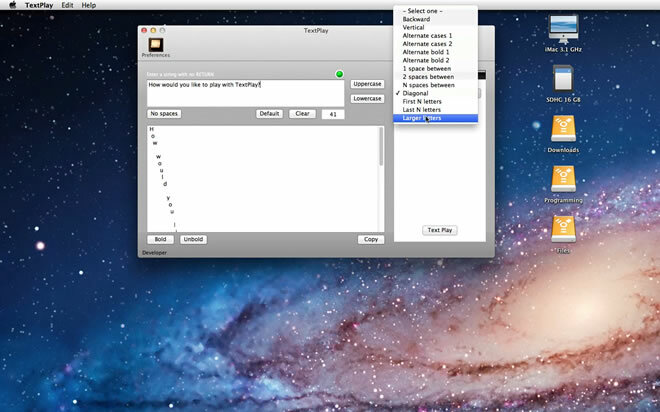 Click on the button to download a beta/demo/trial version of TextPlay for Mac OS X 10.6 and 10.7. Mac OS X 10.6/10.7 with Intel Mac (Intel Mac) only.